When our Foreign Minister announces major new policy initiatives without the approval of his government, he is truly advancing us towards a banana republic. 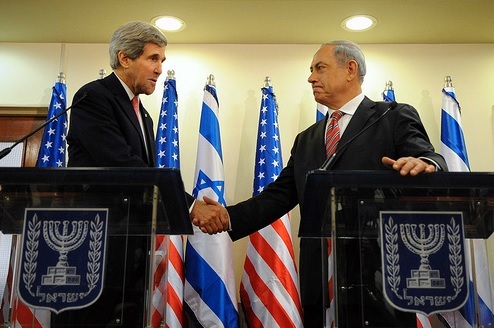 Negotiations preceding the Kerry “framework agreement” have major implications for our future. It involves delicate footwork and requires government solidarity. Differences of opinion within the coalition should be resolved within the Cabinet and not aired through the media. It is shameful enough when cabinet ministers such as Yair Lapid, Tzipi Livni, Naftali Bennet, Moshe Yaalon and others do the opposite by broadcasting their differences and criticizing the Prime Minister and their own government even more harshly than the Opposition. But for our Foreign Minister to do so is utterly untenable. His role is to implement Israel’s foreign policy and promote good relations with other countries; he is the mouthpiece of the nation, its PR spokesman not a private maverick. He is not entitled to promote his own agenda without recourse to the Prime Minister and government. Avigdor Lieberman is one of our most able and intelligent ministers. He successfully rose from humble beginnings to his current role as the second most influential figure in the government. But he has a long track record of acting as a law unto himself. Not as an egomaniac, but as a shrewd politician calculatingly seeking public support by presenting himself as a tough down-to-earth leader who dispenses with niceties or diplomatic language in order to say things like they are. His independent forays frequently intoxicate many Israelis, especially those who consider the government to be too passive or identify with his frequently persuasive debunking of politically correct mantras. Yet Lieberman has also made a mockery of democratic government. In unprecedented behavior for a Foreign Minister, at the United Nations General Assembly three years ago he directly contradicted statements made a few days earlier by Prime Minister Netanyahu. But Lieberman’s most recent foray is far more destabilizing. At the annual meeting of Israeli ambassadors, he astonished his colleagues by dramatically proposing major policy changes. Overnight, he transformed himself into a dove and presented policies seemingly at odds with those enunciated by the Prime Minister. He contradicted his repeated statements of only a few weeks ago that there was no hope of establishing peace with the Palestinian Authority and mocking the value of negotiating with the duplicitous and intransigent Palestinians. He also reversed his approach towards the US. Last year he was calling for new allies to substitute for the US. Now he has extended fulsome praise towards Secretary of State Kerry’s approach, urging Israel to give his proposal a chance. He omitted any reference to defensible borders or Israel’s need to retain a presence in the Jordan Valley. 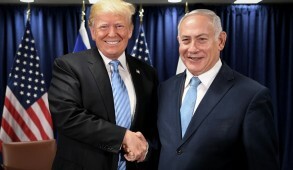 He even proposed the use of NATO forces if the Palestinians failed to enforce security – a major policy change which could boomerang by depriving us the ability to respond against terrorist incursions. In fact Lieberman hailed the Kerry proposal as a “unique opportunity to end the conflict once and for all”, and warned that “there won’t be a better offer”. Many Israelis interpret this sudden dovish lurch as Lieberman’s response to a recent poll that showed that if elections were held today, his party, Israel Beteinu, would be reduced from 11 to 6 Knesset seats. 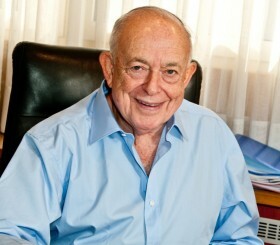 They suggest that Lieberman, the consummate chameleon, is repositioning himself as Ariel Sharon did, from a far right to a centrist – even leftist – role, not merely to garner additional votes but to deflect the leftist media demonization of him and be viewed a moderate which would advance his objective of becoming Prime Minister. One wonders how his deputies Yair Shamir, Uzi Landau and other right wing party colleagues reacted. 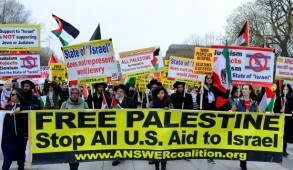 Yet in order to warm the cockles of his hardline supporters, Lieberman also reiterated his opposition to any compromise on the Arab refugee right of return – although this is opposed by Israelis across the entire political spectrum. He also created a major stir by resurrecting proposals for land and population swaps which he had floated eight years ago. He announced that his party would be opposed to any permanent agreement with the Palestinians that does not include annexation of Israeli Arab towns in the Wadi Ara and the Triangle region under Palestinian sovereignty. Lieberman understands that most Israelis would be delighted if those Arab Israelis attracted to the Palestinian cause would join the PA. 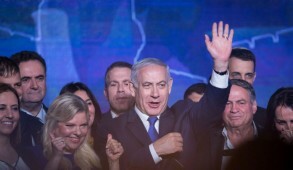 They would cheer his pronouncement that those “who instead of celebrating Independence Day, mark Nakba Day and wave black flags rather than Israeli flags… who in the rallies wave pictures of Hezbollah’s leader and the flags of Hamas and Hezbollah” join the Palestinians and forfeit their Israeli citizenship. To observe MK Ahmad Tibi, Arafat’s former adviser and now the Israeli spokesman for PA President Mahmoud Abbas, crying out in in protest against calls to accept Palestinian citizenship, made many of us smile. Not surprisingly, the vast majority of the 300,000 Israeli Arabs involved display little desire to give up Israeli welfare benefits and accept transfer to a Palestinian entity. A Haaretz poll showed only 31% supporting such a move, principally younger people. An unfortunate byproduct of this outburst may be a further radicalization of the Israeli-Arab electorate. Polls show that, despite the treasonable utterances of the radical Arab MKs, the majority of Arab Israelis remain loyal and proud of their country with 70% satisfied as being Israeli citizens. The racist fallout from Lieberman’s utterances may generate despair and alienate more of them. In addition, setting aside the new security issues implicit in his proposal which would impose even less defensible borders than the 1949 armistice lines, to oblige blocs of Israeli Arab citizens to forfeit Israeli citizenship is fraught with huge legal and constitutional problems. 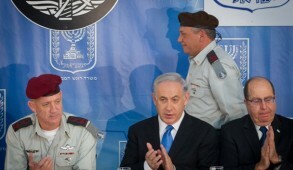 Walking on egg shells with his shaky coalition, the Prime Minister weakly distanced himself from Lieberman’s outburst. The Interior Minister, Gideon Saar stated “an Israeli citizen is not an object and cannot be moved under a peace accord… We can talk about equal rights and equal responsibilities, but revoking citizenship should not be up for debate.” His views were supported by other ministers. It would be perfectly in order for such proposals to be aired in op-ed columns, promoted at a seminar or symposium or even raised by an eccentric MK backbencher. Yet it is inconceivable that a Foreign Minister should behave in such a manner. For Lieberman to publicly promote his own agenda and make pronouncements on undetermined foreign policy issues during this time of sensitive negotiations represents demagoguery of the worst order, and creates the impression that our government is as unruly as an undisciplined football team. The machinations of Shimon Peres when he was Foreign Minister in the Rabin government, pale in comparison to Lieberman’s effrontery. That Lieberman’s personal initiative hardly raised an eyebrow throughout the country and that the media accepted it with equanimity, highlights the extent to which Israel has become immune to such chaotic behavior. Minister Lieberman, you are blessed with intelligence and talent. As Foreign Minister you cannot operate in isolation. Become a team member and employ your qualities to promote the national interest and, in the long run, this will enhance your status as a leader far more than cheap demagoguery.